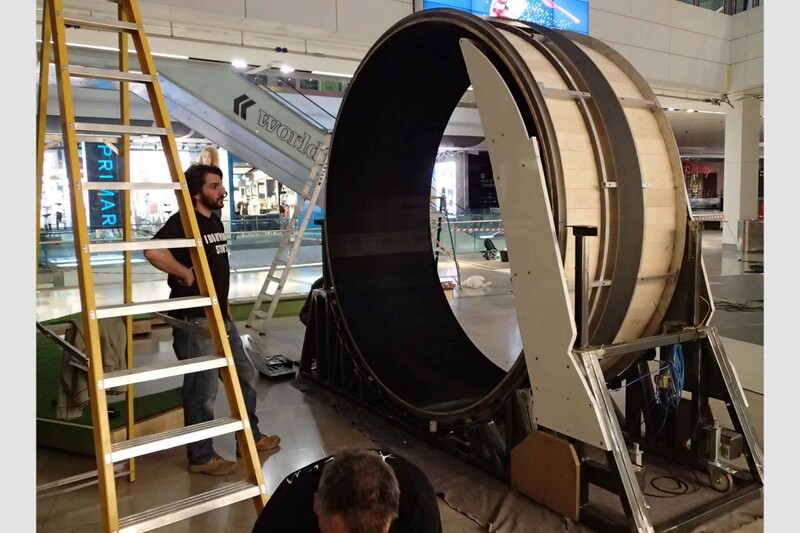 Sony Xperia Treadwheel – Asylum Models & Effects Ltd.
We were approached with a concept for an interactive giant ‘hamster’ wheel, which we engineered using CAD software and fabricated in our own workshop. 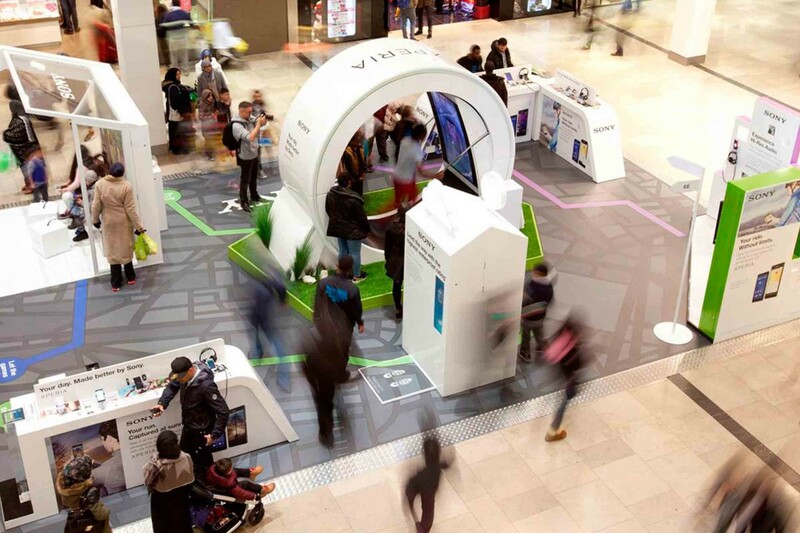 The machine was used as part of an interactive display at Westfield shopping centre, before travelling around the UK on and advertising campaign. 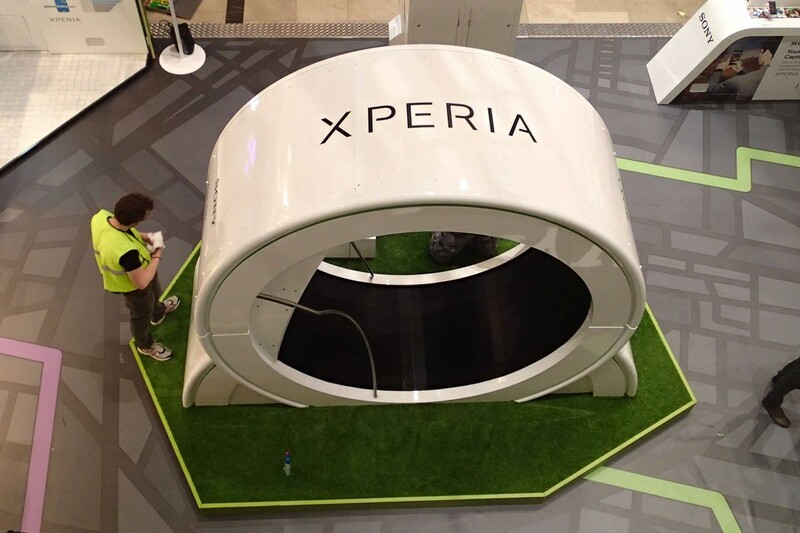 Ensconced inside the structure, the user is immersed in various point-of-view recordings which highlight the main features of the latest Sony wearables. 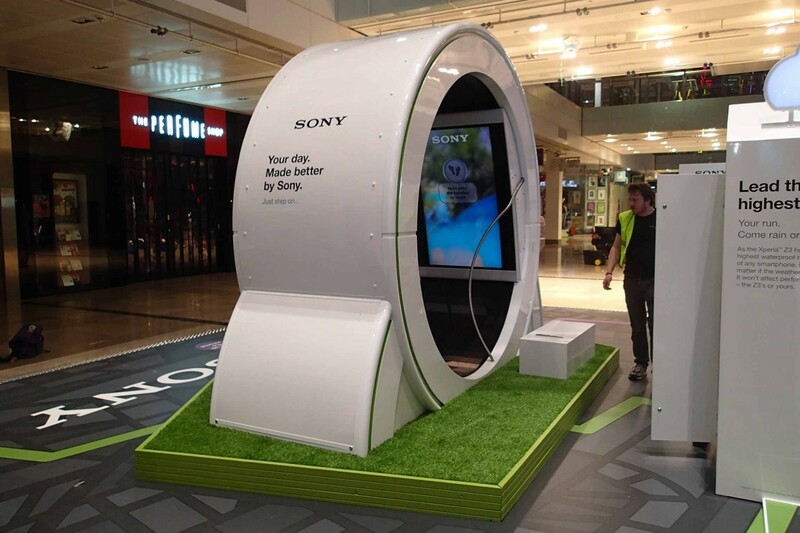 The faster you run on the treadwheel, the faster the video footage is played back. 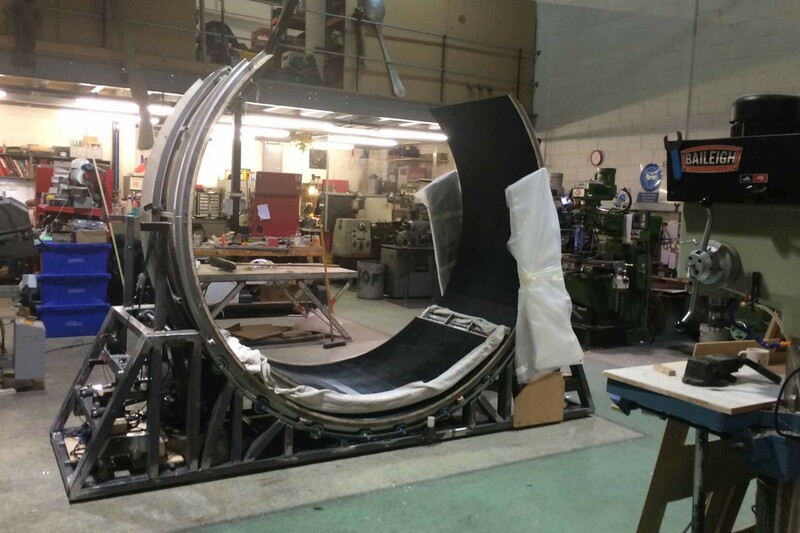 We developed the backend hardware to measure the speed of the wheel along with controlling various safety interlocks that were interfaced with the client’s user experience front end.